Apple's next-generation plus-sized iPhone model will feature even more RAM, reaching 3 gigabytes in total embedded into a next-generation "A10" processor, according to well-connected analyst Ming-Chi Kuo. Apple iPhone 7 concept by Yasser Farahi. Kuo's latest details from Apple suppliers were published in a research note Tuesday evening with KGI Securities, a copy of which was obtained by AppleInsider. In it, he revealed that while the 4.7-inch "iPhone 7" is expected to have the same 2 gigabytes of RAM as the iPhone 6s, the larger "iPhone 7 Plus" will add another gigabyte for even greater performance. Despite the anticipated RAM difference, both phones are expected to run a next-generation mobile processor architecture from Apple, likely to be known as the "A10" CPU. To date, the main differentiating factor for the 5.5-inch "Plus" models, aside from screen size, has been improved cameras. Specifically, both the iPhone 6 Plus and the iPhone 6s Plus have exclusively boasted hardware optical image stabilization capabilities, which are not found in their smaller 4.7-inch counterparts. 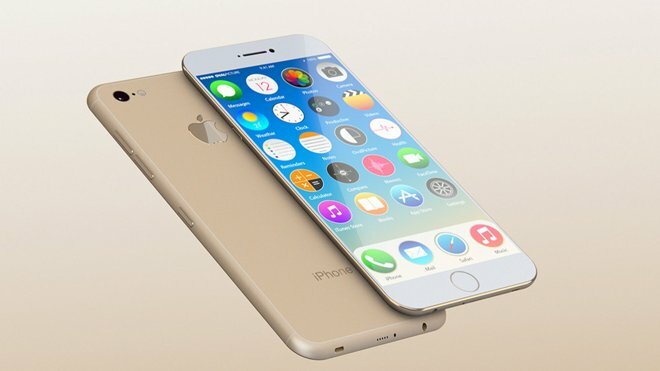 It's likely that a new "iPhone 7" will debut in September of 2016, sticking with Apple's usual annual release pattern. It's also expected that Apple will introduce a revamped external design for next year's handset, though Kuo did not shed any details on those changes in Tuesday's report. However, he previously revealed in September that the "iPhone 7" is on track to be Apple's thinnest iPhone yet, with the company said to be aiming to make the 2016 upgrade as thin as 6 millimeters. That would be even thinner than the latest iPod touch and iPad Air 2. Kuo has an extremely strong track record in predicting Apple's future product plans. In particular, he correctly predicted all of the company's fall 2015 product updates, including a slightly thicker iPhone 6s with Series 7000 aluminum and Force Touch input, as well as a larger iPad Pro with pressure-sensitive stylus. He also correctly predicted in April that Apple would not launch a new 4-inch iPhone model this year, though he said on Tuesday that he expects Apple will launch a metal handset with an A9 chip in that size in early 2016.